OPPO R15 – Beyond the Border! Apple has always put out something unique until someone copies their efforts. This time it’s OPPO doing the latter. Whether you call it an inspiration or not, it will always be treated like a copycat. The Chinese smartphone brand has officially unveiled their new flagship offering in China. It’s called the OPPO R15. The successor to R11, the new R Series phone from OPPO sports a design you would be familiar with. 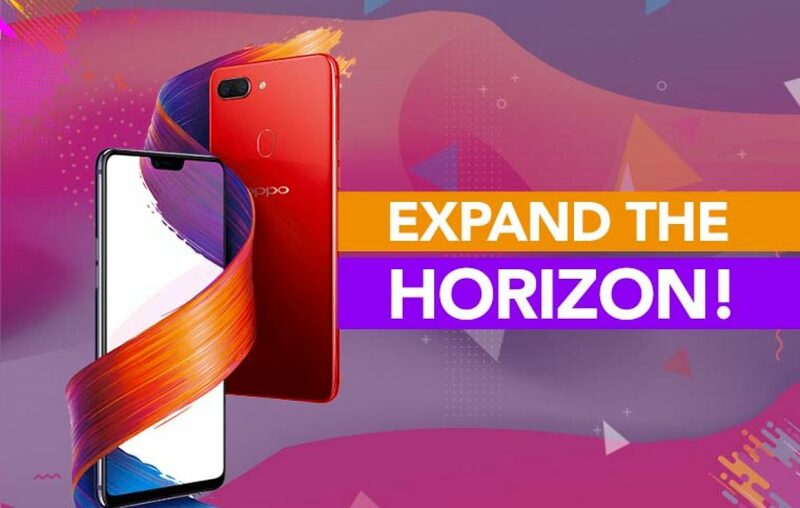 Now that OPPO has gone ahead with this bold decision, it’s time to find out whether it is worthy of its price tag or not irrespective of the copycat design. How should we found out its worthiness? Probably by putting out the OPPO R15 specifications in the wild to judge. When you’re buying a premium phone, you’d want it to reflect your style. That is what OPPO has tried to do with the design aesthetics on their all-new R15 smartphone. Sporting double-sided glass body, the vibrance of the colour variant very much reflects the style statement that you are looking for. It will embrace your presence with an element of elegance. The 18:9 aspect ratio is too mainstream these days, which is why OPPO has gone ahead and implemented a 19:9 aspect ratio. With a claimed 90% screen-to-body ratio, OPPO R15 offers an ultra-wide viewing experience with almost no borders. This means you get to have the immersive viewing experience, it is teased to be better than the 18:9 aspect ratio screens. Usually, we wouldn’t recommend a MediaTek processor experience on a premium handset. But with MediaTek Helio P60, the chipset maker has finally outdone themselves. The Helio P60 is fabricated with 12nm process, which makes it one of the highly powerful and efficient processor. It is supported by a 6GB RAM and 128GB internal storage, which is just mind-blowing. If you’re looking to become a portrait photographer, then, with the smartphone camera technologies that are available today in the market, you can easily become one. OPPO R15 also introduces portrait mode on its rear dual camera setup. But the unique part here is the involvement of the A.I. (Artificial Intelligence). The 16MP + 5MP setup is supported by the AI technology. Whereas the selfie shooter is equipped with a 20MP resolution camera. There’s no doubt that the selfies would come out fantastic on this one. For a 6.28-inch phone, you’d think a 3450 mAh capacity battery might be a low-capacity. But you might be wrong as claimed by the brand. With a highly efficient processor and a much optimized Color OS helping the phone gets a tremendous battery life out of it. Further, there is a support for proprietary fast charging technology called VOOC. It allows the users to get their OPPO phones charged quickly. What’s the verdict on OPPO R15? OPPO has finally released a phone worth investing, not just for the perfect selfie experience, but an overall premium smartphone experience. But unfortunately, this smartphone might be limited to the China audience only. Recalling that OPPO has never released an R Series handset in India, it might not release the new R15 in India. Previous article HTC Desire 12 Plus - Behold the Bold! Next article Vivo X20 - Is this a flagship smartphone done right?